For 62% of America’s public school kids, this is a safety net. It’s almost impossible to believe but 12 million American kids (one in every six children) don’t have enough to eat on a daily basis. 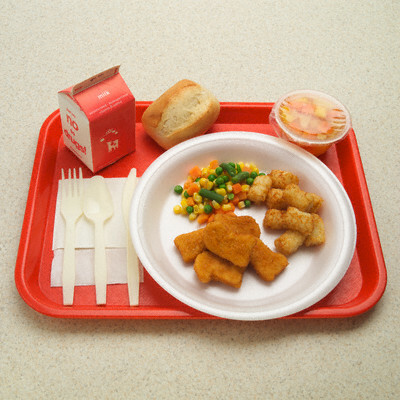 62% of public school children in this country are on the federal free or reduced meal program, and with nearly 15% of Americans now living in poverty, those numbers are climbing. But what do these kids eat on the weekends? That’s the question Stan Curtis, founder of Kentucky Harvest and USA Harvest, asked himself – and knowing the heartbreaking answer – he founded Blessings in a Backpack in 2005. This simple, local, community-run program is changing hunger dynamics across America, and giving kids a shot at school success. Started with just 1 school in Kentucky, Blessings now serves more than 25,000 kids in 169 schools throughout 21 states and two countries …thanks to generous Americans and a few big-name celebrities. 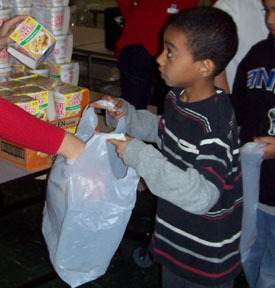 Here’s how it works: A person or group “adopts” a local school with the help of Blessings in a Backpack, and the organization helps make the connection with a nearby grocer (like Meijer or WalMart) to provide food at a discount. Community volunteers raise funds to support the number of children (it costs just $80 a year to feed one child every weekend) and volunteers transport the food from the grocer to the school and load the backpacks (which are provided by BIB). 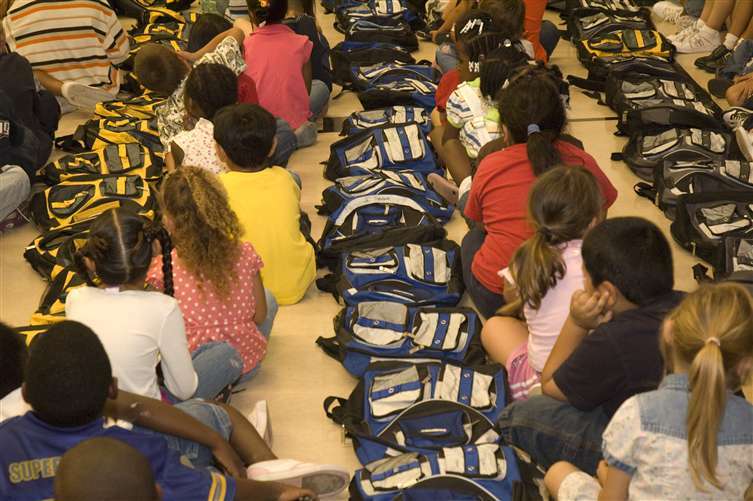 Every Friday, kids are given a backpack filled with easy-to-prepare and ready-to-eat food – and on Monday, the kids return the backpacks and come in to school prepared to learn. Kids lined up waiting for their weekend backpack of food. It sounds obvious, but the results have been profound. The difference in academics, school attendance, behavior and health between a well-nourished child and a hungry child is significant. In fact, research in elementary schools has shown increases of 30,40… even 80% in reading and math comprehension after BIB programs were enacted. Given the connection between school success and nutrition, one can only hope more communities will pitch in to feed their hungry neighborhood children. 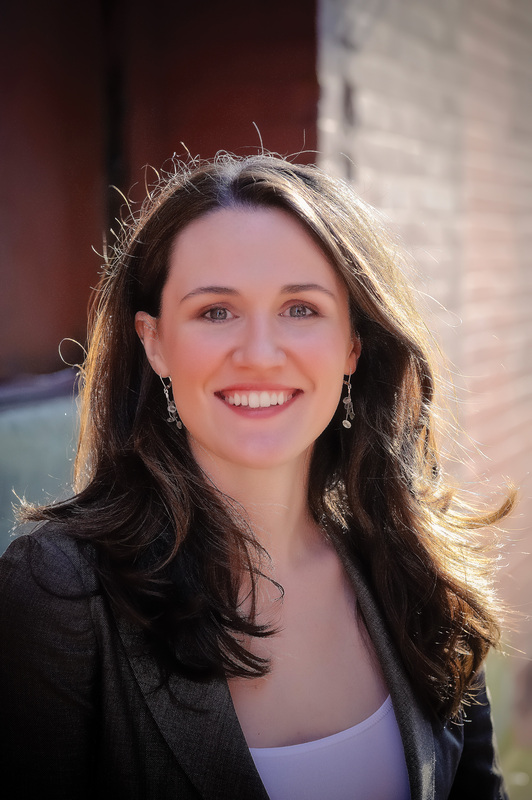 Liz Murray, whose extraordinary life story was made into the Lifetime movie: From Homeless to Harvard, knows what it is to be hungry, having eaten toothpaste and chapstick on foodless weekends as a child. Today she’s on a whirlwind book tour, with all proceeds benefiting Blessings in a Backpack. Her goal is to enroll 50,000 hungry school kids – the future of America – in Blessings programs by December 2010. And she’s been joined in promoting Blessings in a Backpack across the United States by Scarlett Johansson, Paula Deen, Miley Cyrus, Hilary Duff, Dale Earnhardt and Sammy Hagar. 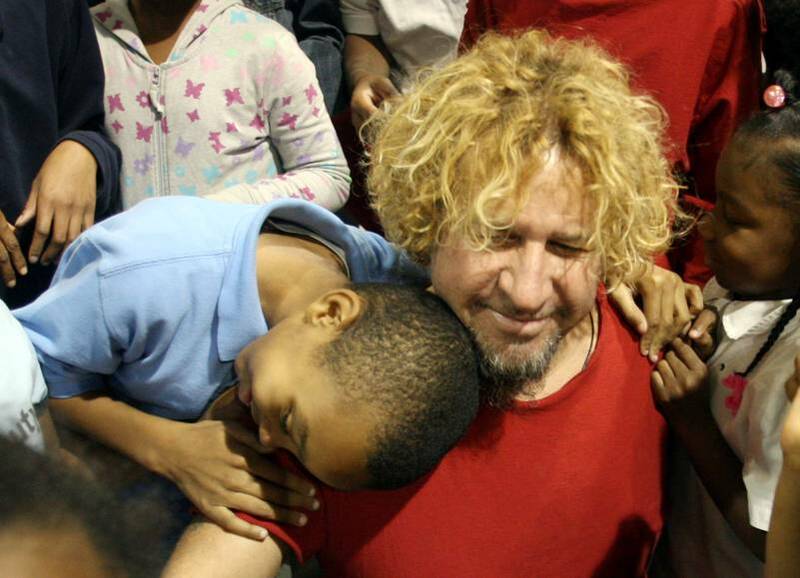 Sammy Hagar rocks with BIB kids. Great post about a great cause, Betty. Clearly, hunger affects learning — one more way the poverty a person is born into becomes almost inescapable. But it’s always encouraging to see what individuals can do to change the world around them. Thank you for providing still another example of that.